Warm sunbeams and fresh air creates a hankering for treats that not only are delicious but refreshing in my neck of the woods. I have become more fearless in the kitchen and through the past year have grown in my confidence to try new recipes. 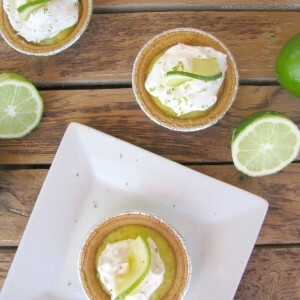 This Simple Bite Size Key Lime Pie recipe is refreshing for the hot days ahead as well as simple with only a few basic ingredients. Who’s ready to pull up their sleeves and create a delicious dessert in no time? 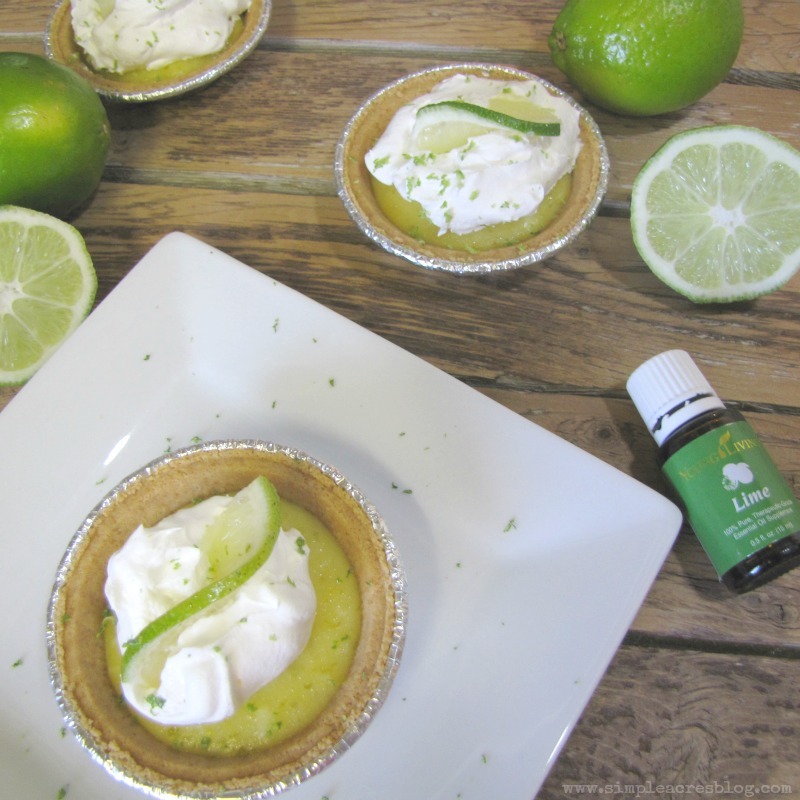 The aroma of citrus is so uplifting to me I was excited to make this recipe with a secret ingredient I can’t wait to share! 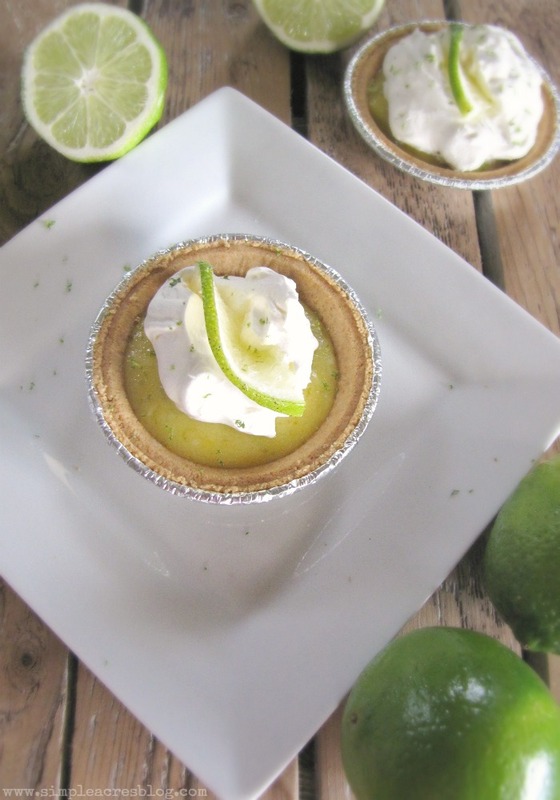 The healthy Vitamin C is another reason to love this recipe! While you are eating it think of each bite being antioxidant packed. As a Registered Dietitian, I truly believe all foods can fit into a healthy diet with intuitive eating. This recipe was inspired by the very talented Olivia from Liv For Cake blog. Prepare a water bath on the stove. I did this by boiling water in a larger pan then holding a smaller pan partially submerged over it while following the directions below. 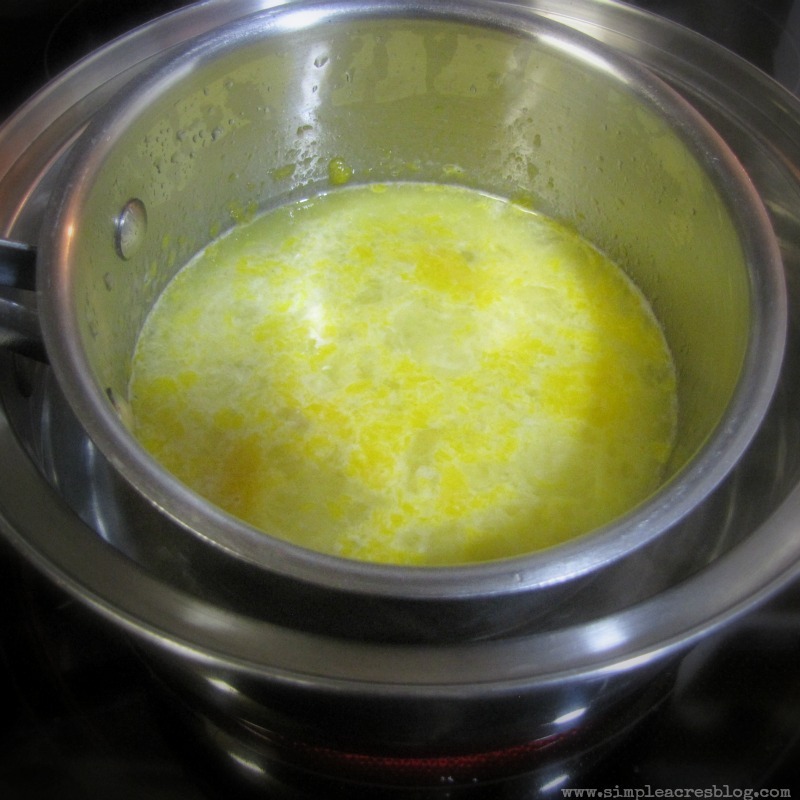 Once the water is boiling, place eggs, sugar, lime juice, essential oil and zest into the smaller cooking pan and begin whisking. 4. 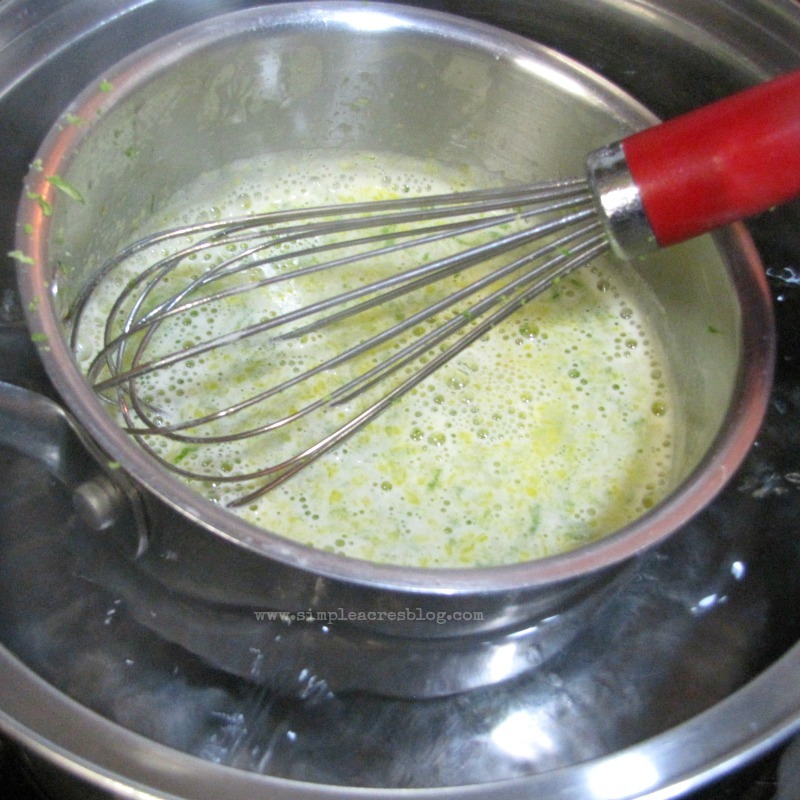 Whisk it up quickly over the boiling water bath until thick (approximately 5-10 minutes). Take on and off water bath as needed to prevent the eggs from settling to much. When it’s light, thick like pudding and ribbons can be formed while you whisk it you are golden my friends! 5. Remove from heat and mix in melted butter. 6. Pour into mini graham cracker crusts. I chose to keep it simple with a store bought option. 7. Bake for 5-7 minutes until set. 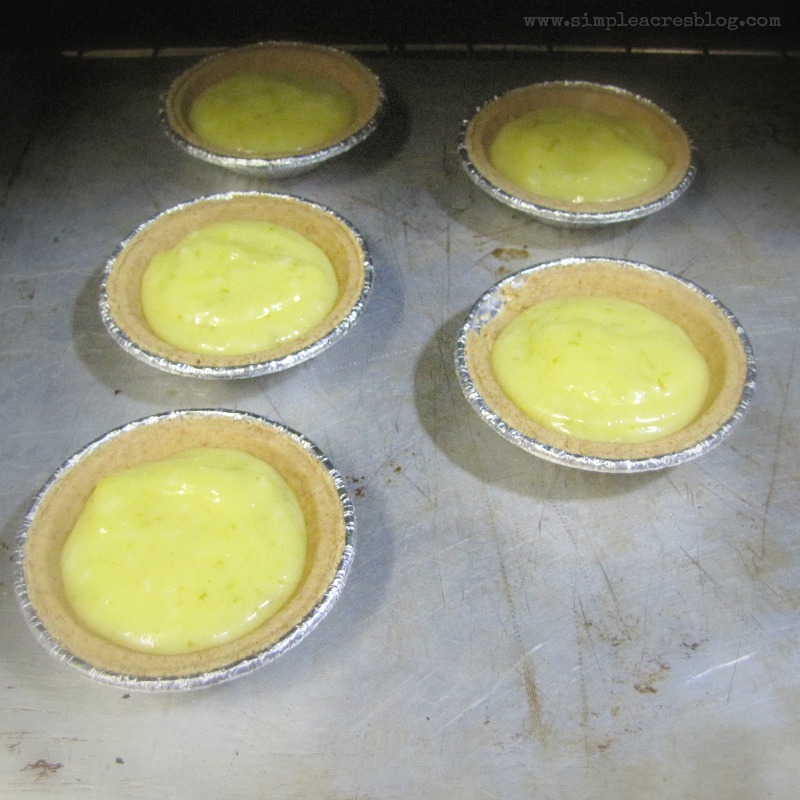 The center of the pies should jiggle somewhat like pudding would if nudged. 8. Cool on your counter then place in fridge for at least 2 hours to cool. 9. Serve cold topped with whipped cream. I enjoyed adding a sprinkle of lime zest. P.S. I want to say a big thank you and shout out to Olivia from Liv for Cake blog! She rocked my world with this recipe so much I just HAD TO share it with all my friends here at Simple Acres. Friends check out all her delicious recipes such as this delicious Caramel Almond Upside Down Cake . You can also check Olivia out on Instagram if you like salivating while viewing gorgeous food pictures and recipes. Pick me…I do! These look amazing!! I’m so glad you liked the recipe. Good call on getting the pre-made pie crusts, I will for SURE be doing that next time :). Thankyou for sharing and inspiring me …. It was so delicious I had to share? ?